An individual employer, group of employers, or an industry association can sponsor a Registered Apprenticeship program, sometimes in partnership with a labor organization. 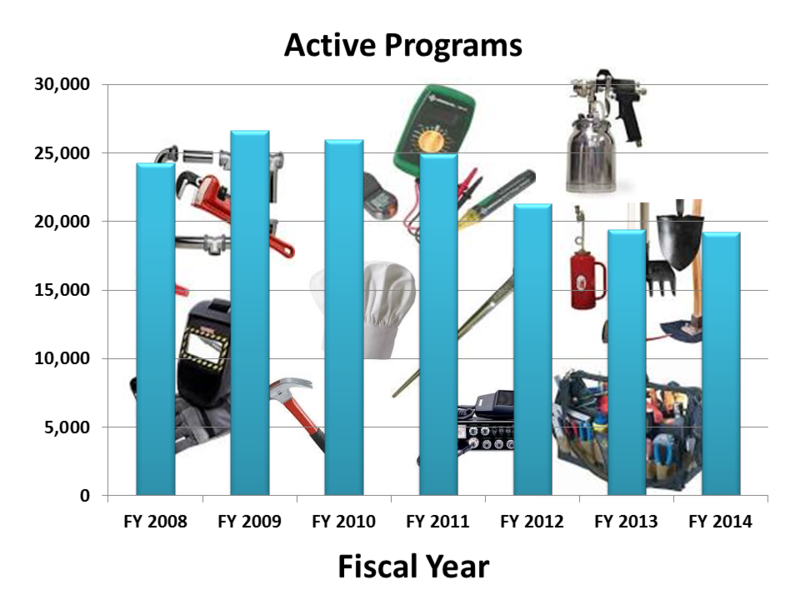 Registered Apprenticeship program sponsors make significant investments to design and execute apprenticeship programs, provide jobs to apprentices, oversee training development, and provide hands-on learning and technical instruction for apprentices. 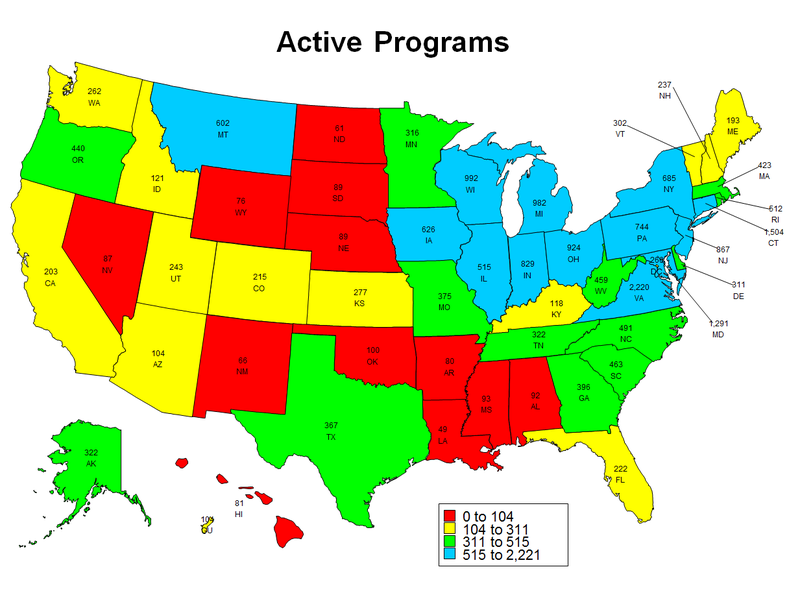 The programs are operated on a voluntary basis and are often supported by partnerships consisting of community-based organizations, educational institutions, the workforce system, and other stakeholders. Registered Apprenticeship program sponsors develop a set of structured standards that include requirements for related (classroom) instruction and paid on-the-job learning with appropriate supervision. 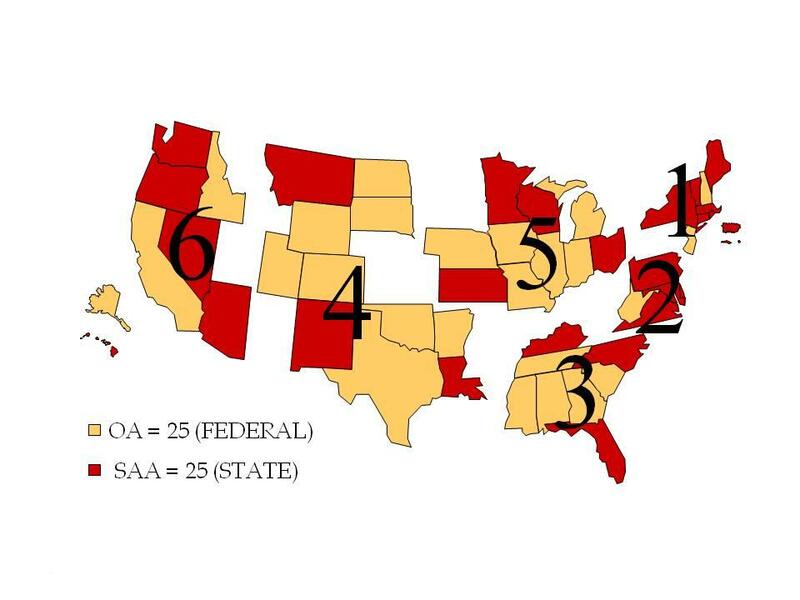 Sponsors then register their program standards and apprentices with the Office of Apprenticeship (OA) or a State Apprenticeship Agency (SAA) recognized by the Department. Through apprenticeship agreements, sponsors and apprentices agree to the requirements of the registered program. At the successful completion of the on-the-job and instructional learning, apprentices receive an industry-issued, nationally recognized portable certificate of completion. 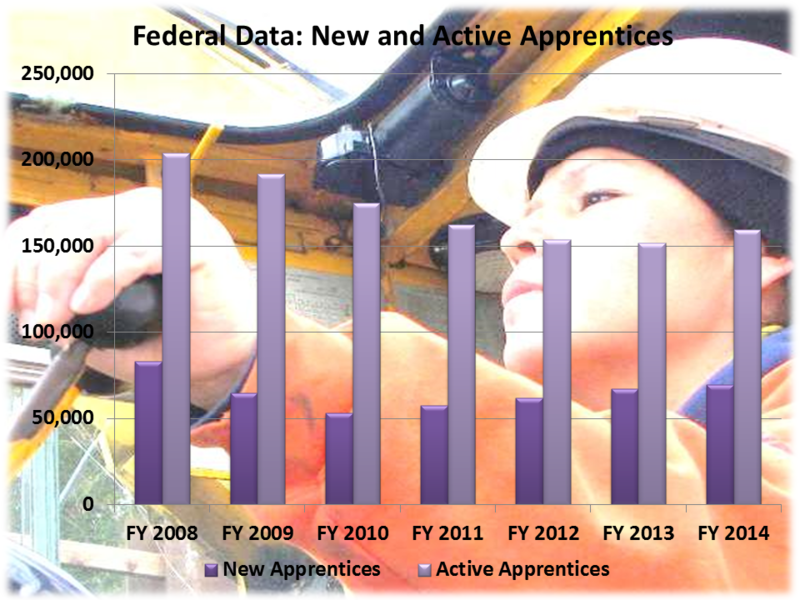 In FY 2014, more than 170,500 individuals nationwide entered the apprenticeship system. 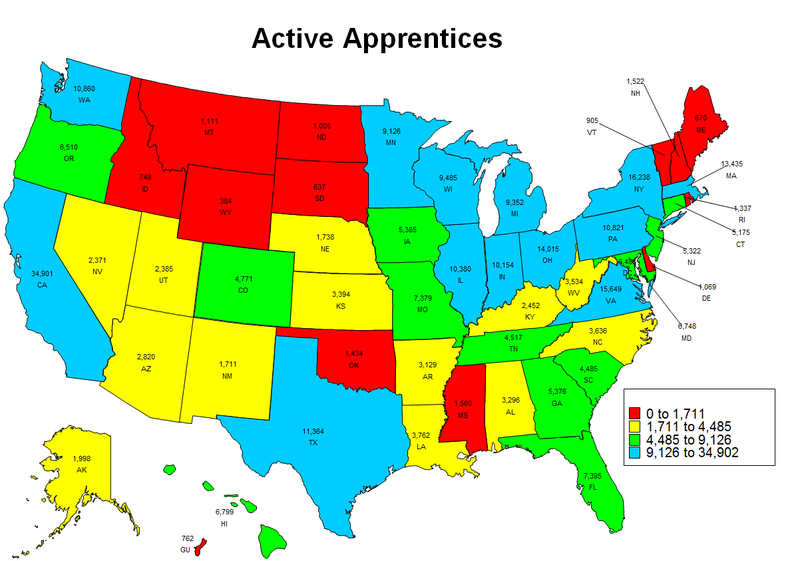 Nationwide, there are over 410,000 apprentices currently obtaining the skills they need to succeed while earning the wages they need to build financial security. 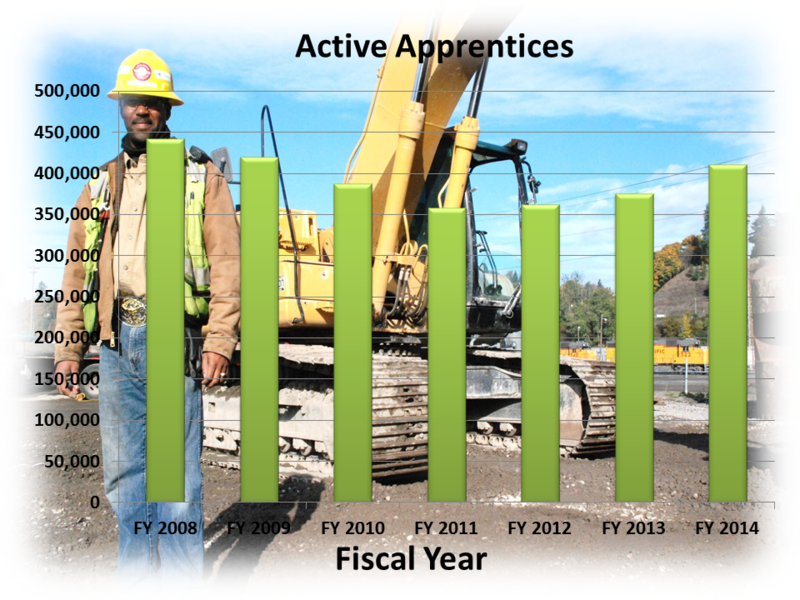 In FY 2014, over 44,000 participants graduated from the apprenticeship system. 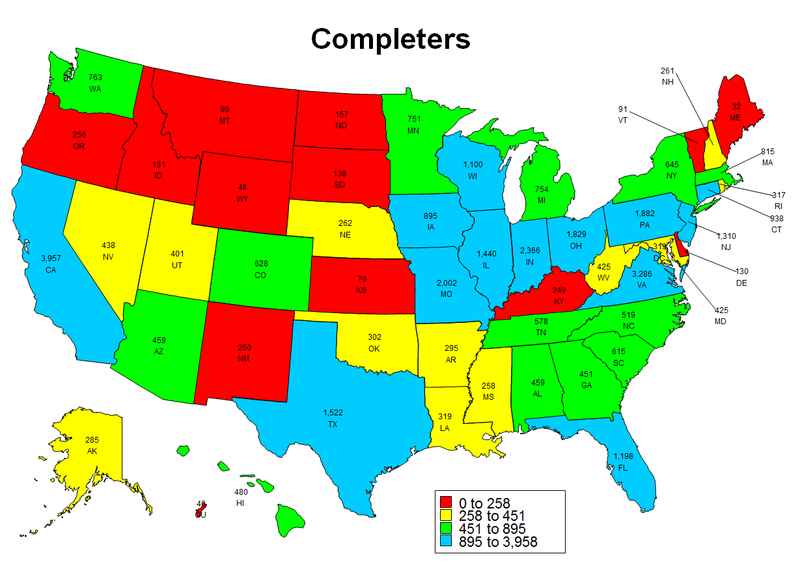 There are more than 19,000 registered apprenticeship programs across the nation. 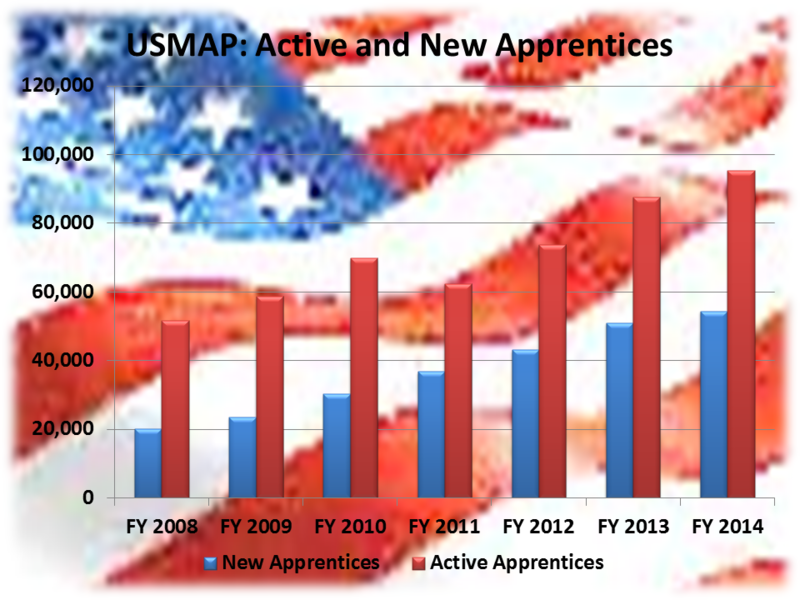 In FY 2014, over 1,600 new apprenticeship programs were established nationwide.